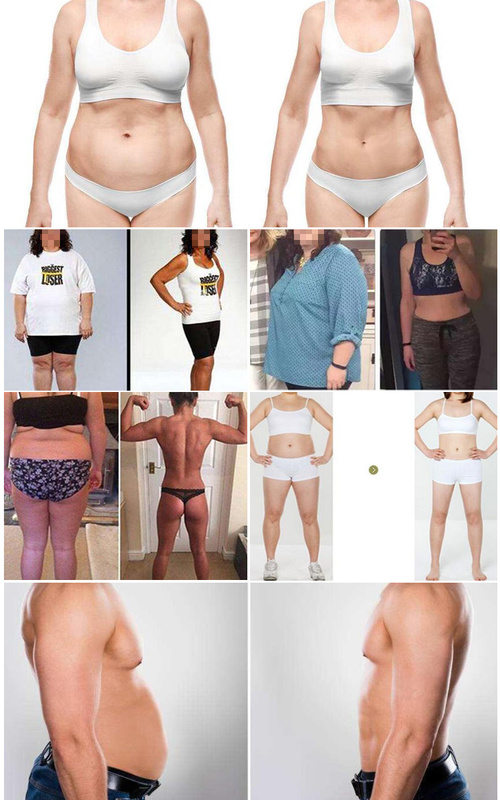 Laser Lipolysis is growing in popularity as a procedure for the tummy, arms, male breasts and outer thighs as well as smaller areas of the body such as redefining the jaw line, neck and chin area. It carries fewer risks as traditional liposuction and is a less invasive surgical procedure requiring fewer incisions and resulting in less scarring. We use laser liposuction after liquid liposuction to tighten the skin. 1.Intense physical lipoly to remove fat. 5.Remove obstruction from channels and collaterals. 6.Promote and accelerate body metabolism. 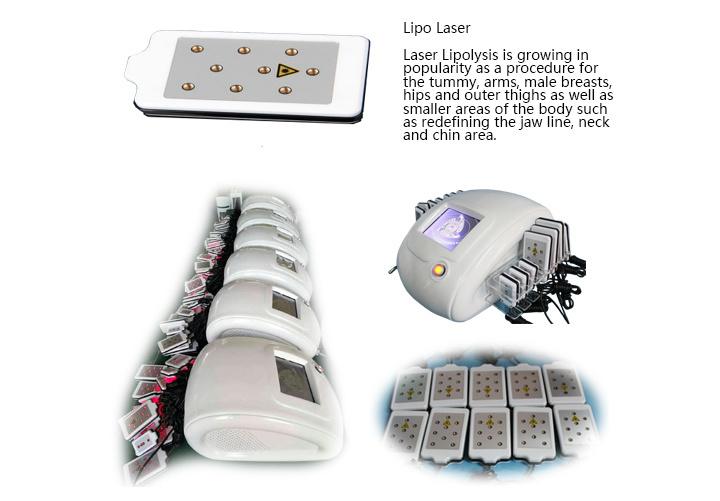 1.Affordable treatment - Compared to surgical liposuction and other ultrasound or laser techniques, lipolaser is much more affordable with similar results. 2.Safe and Painless - Lipolaser uses low levels of visible red laser light to create a safe and painless bio-stimulation effect in the targeted fat tissue. 3. 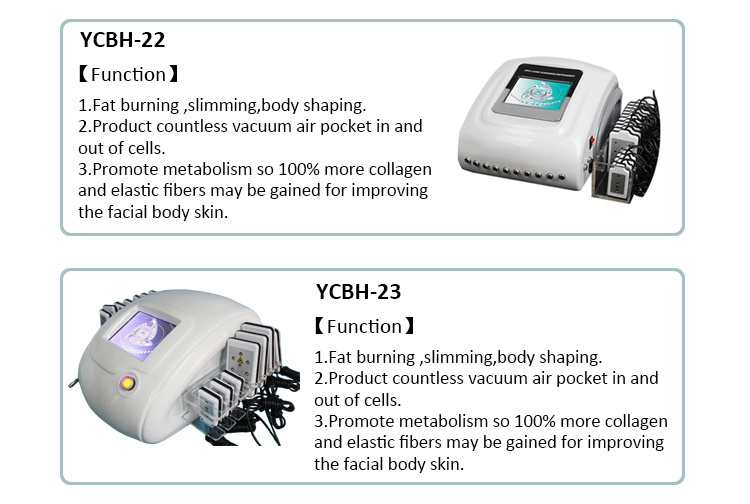 Relax to customers - No pain, no cut, no scar, no any side-effect. 4.Immediate results - Results can be seen immediately after treatment. Typically a 2-4cm loss in abdomen circumference can be achieved with every treatment. 5.Targeted fat reduction - LipoLaser can target fat reduction in specific problem area. By positioning the laser pads on the target area such as chin, upper arms, abdomen or thighs fat can be broken down and removed specifically from that area. This is a big advantage over diet and exercise which can reduce overall body fat but not shape individual areas. 6.Innovative design - The system has been designed with. 7.Time saving - 14 pads option enabling operators to reduce treatment time. 8.Simple procedure - Easy operation, easy study.